on my very slow drive to the winery and it was my inspiration! The Peninsula is really getting snow. Forecasted ½ inch and we’re at 7 inches and counting. Check out the photos. As you can imagine the winery is closed except for Harley, me and of course, Moakie, the cat. Need to check that all is well and buttoned up, so to speak. And I really expect the only other visitor today will be UPS making the second set of tracks through the parking lot. As you’ve undoubtedly heard, TV and radio news have been all over what’s happening this week at the shopping malls on “Black Friday” Nov 26, the busiest shopping day of the year. Now there is “Small Business Saturday” on Nov 27 and next week it is “Cyber Monday”, Nov 29. So I’m thinking… how can a “Small Business” turn White into Green, get ahead of Black and do it in Cyber space with the help of Brown (UPS Brown that is)? The answer: We need to come to you and the only way is to ship wine. Molly and I can start shipping tomorrow. Middle-aged women who are moderate imbibers are more likely than teetotallers to be "successful survivors" -- free of major chronic diseases in their old age, according to a new study. 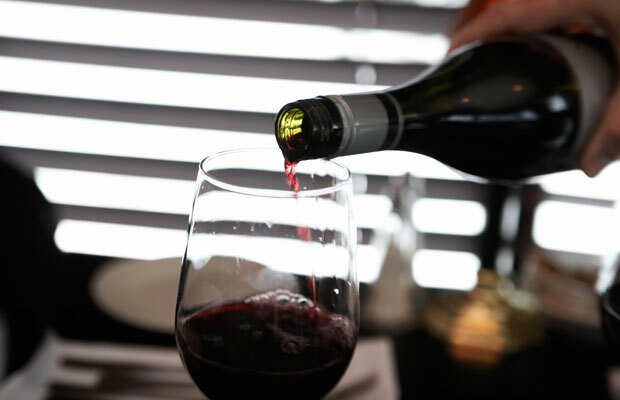 The study is one of the first to link moderate alcohol consumption -- 15 to 30 grams daily, or the equivalent of one to two drinks -- with "successful aging." I am so excited to know that I am "successfully aging" and that my wine is HELPING! 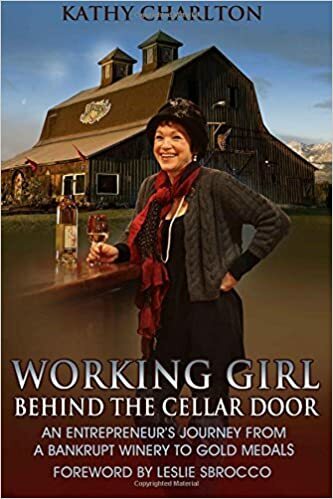 And, I'm sure the Working Girl in Working Girl Wines is making all the difference. Well the holidays are “smack” right around the corner even if I don’t want to admit it. This year though we have great news for all of you who love our Cranberry Jubilee and want it for Thanksgiving. The wine is ready to ship NOW! Because we bottled it in late summer this year (instead of mid-Nov) it has had 2 months to get over bottle shock. The wine is perfect. I love this year’s blend… the perfect balance of a classic Chardonnay with the tart finish of cranberries. I really wish I had a cold glass now… while we only produce this for the holidays it is perfect year round. So if you want more than your holiday supply, order now… because by sometime in December it’s all gone. While we usually do case discounts… I am going to offer our 10% case discount on 6 bottles of Cranberry Jubilee. We just don’t have that much and we need to limit sales to 6 bottles per customer. If you decide to order additional Olympic Cellars’ wines and bump your order to a case (12 bottles) the discount on the cranberry and the rest of your wine selections will be 15%. Wines we love on our holiday table include our Chardonnay, La Galopine, Dungeness Red Lemberger and by all means our Lemberger Rose… Rosie the Riveter.